The political class is reacting with some astonishment to the Perry campaign's announcement that it raised $17 million in the third quarter (actually, in barely more than half the quarter, given Perry's late entry.) This most impressive sum conflicts with the boom and bust story line that had settled on Perry, after his surge to the front of the pack and more recent stumbles. But really, no one should have been surprised by this figure. As I describe in my new cover story in the magazine, raising money is what Perry does better than just about anyone. Over 10 years in office, he has developed a fundraising machine on a scale that is unprecedented even in Texas, where there is no limit on the size of contributions. 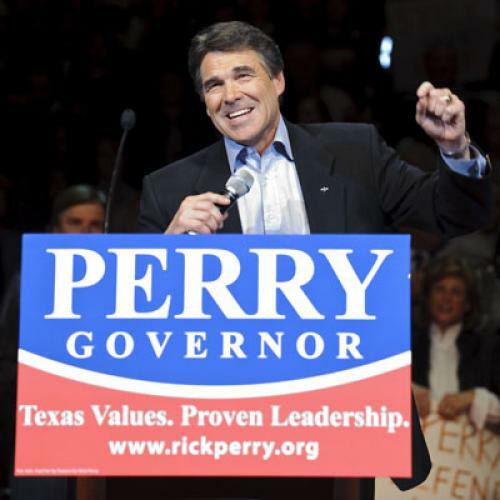 By 2006, Perry had 85 donors giving at least $25,000 per year, double the tally claimed eight years earlier by his predecessor George W. Bush, no fundraising slouch. As my article and others have documented, Perry's list of contributors has closely aligned with the list of people and companies who have received appointments to state boards and commissions, grants from the state's two huge economic development funds overseen by Perry, or favorable treatment in legislation or other state action. To cite just one example from the article: two-thirds of the 155 state university regents Perry has appointed contributed to his gubernatorial campaign accounts—$6 million in all. If there was any question about Perry's presidential fundraising, it was whether he'd be able to put up big numbers in a national context where individual contributions are capped at $2,500 and where, presumably, far fewer in the pool of potential Republican donors have benefited from his actions than is the case in Texas. Well, he appears to have answered that. According to campaign leaks, Perry received contributions from 20,000 donors in all 50 states, with more than half of them from outside Texas. That suggests more of a natural base of support for Perry than the recent doomsaying by pundits would suggest. But it's also worth keeping in mind that just because a donor lives outside Texas does not mean he has not been among the broad network of beneficiaries of his governorship. Many of the companies that received big awards from Perry's Enterprise Fund, for instance, are corporations based outside Texas, such as Caterpillar, Medtronic and Lockheed Martin. The only major recipient of Enterprise Fund dough that we can be pretty sure won't show up on the contributor lists is the Huntsman Corporation.